By enabling 4 themes and custom styles, SJ Image Slideshow is suitable to integrate into any Joomla! websites. 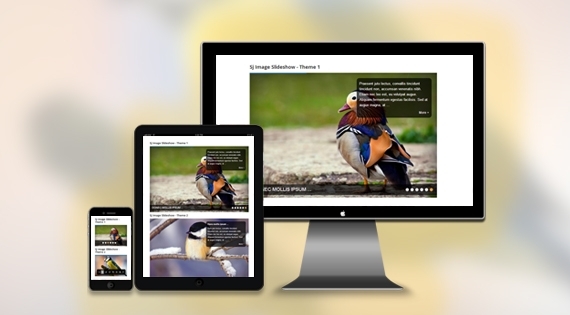 Responsive layout and bootstrap integrated help you tweak height, width and layout of images in professional way. This would be used on front page with many options to feature images that you want. Images are fetched from external folder with custom title, description and link. Each theme has its own navigation type with special effects for your setting up easily in admin backend.